Support the Local Venice Crafters! 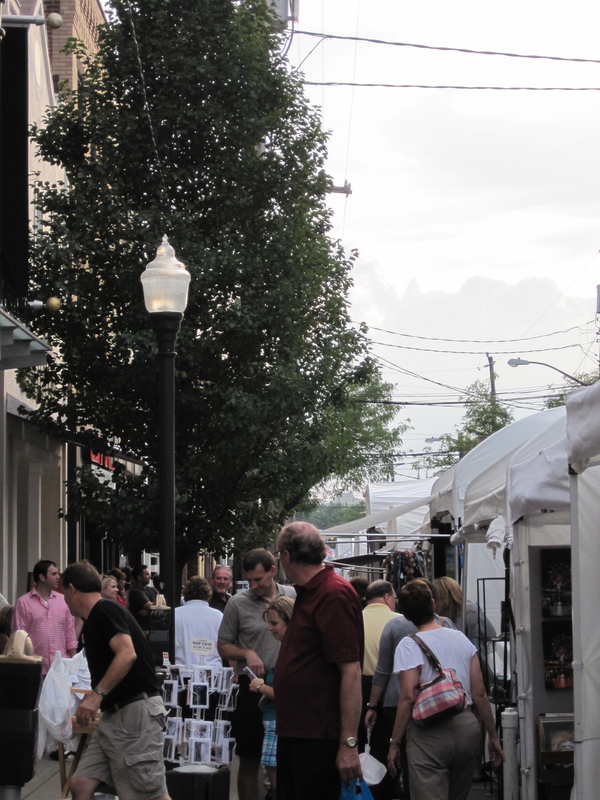 This holiday weekend (September 3rd & 4th), American Craft Endeavors is proud to have several local artists exhibiting in the 3rd Annual Downtown Venice Labor Day Weekend Craft Festival in Venice, FL. 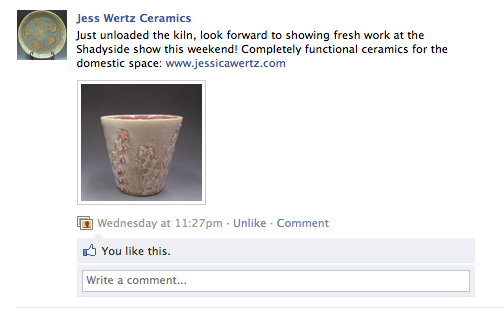 We always enjoy having local artists in our shows! Please make sure you come out and support the local artists! 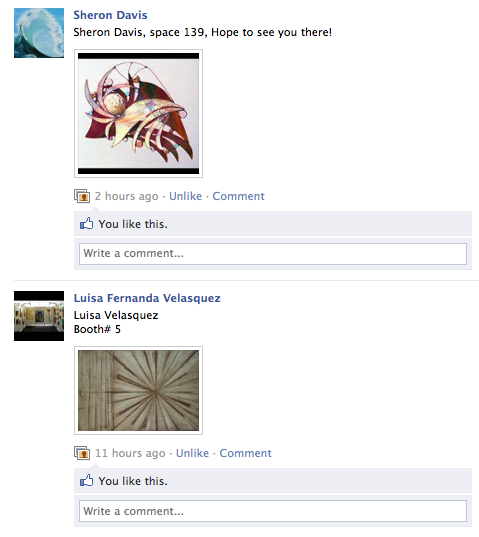 All of the artists mentioned above will be available to discuss their artwork. If you have any questions about this blog post, please don’t hesitate to contact us at 561-746-6615 or info@artfestival.com. Howard Alan Events is proud to notify you that 6 of our fine art festivals have made it into Sunshine Artist’s 100 Best Art Shows! 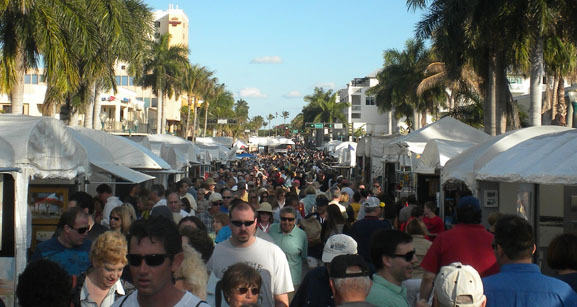 If you have questions about this blog post, please don’t hesitate to contact us at 561-746-6615 or info@artfestival.com. 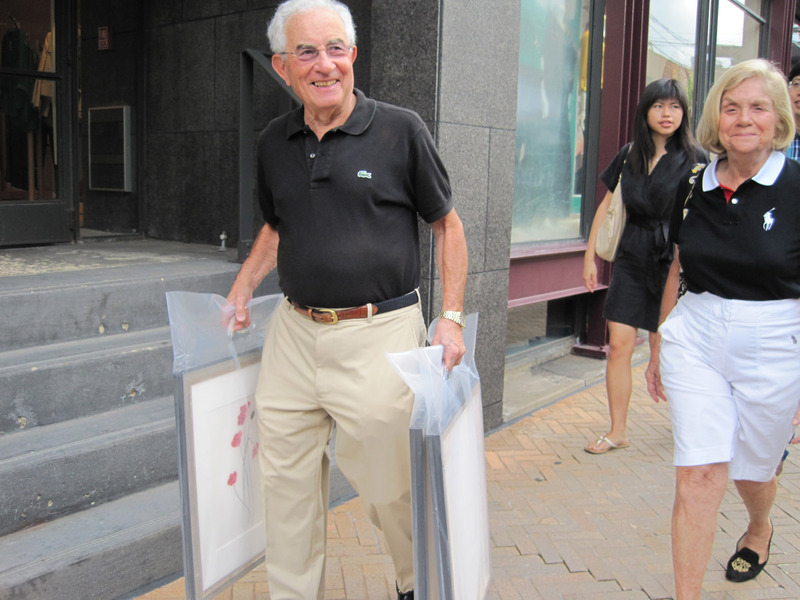 This past weekend, Howard Alan Events had their final art festival of summer. We certainly ended with a bang! It was the best art festival of the entire summer! A very happy patron with newly purchased artwork! Another satisfied patron leaving with beautiful artwork! 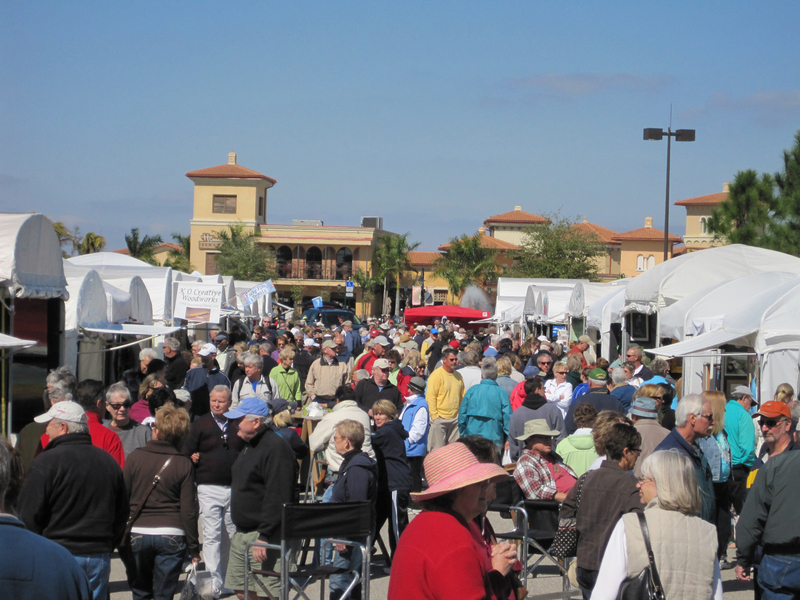 If you have any questions about this blog post – don’t hesitate to contact us at 561-746-6615 or info@artfestival.com. 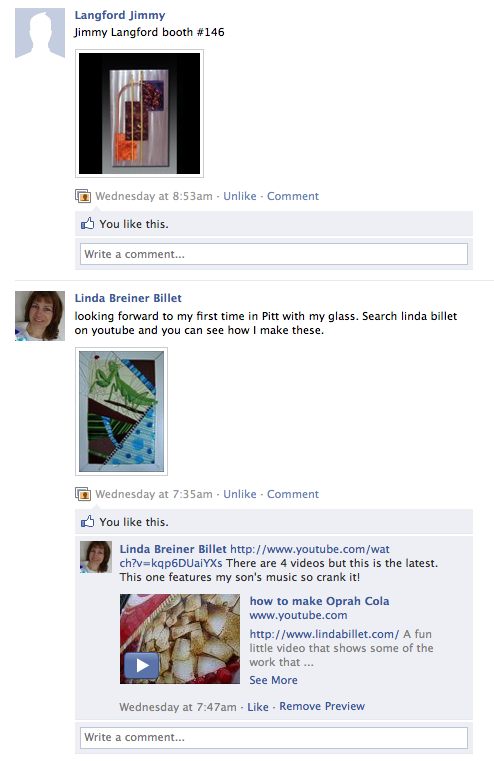 Follow us on Facebook & Twitter for the latest information about our art & craft festivals. Our summer shows are officially over! We ended the summer with our best show of the season in Pittsburgh, PA. 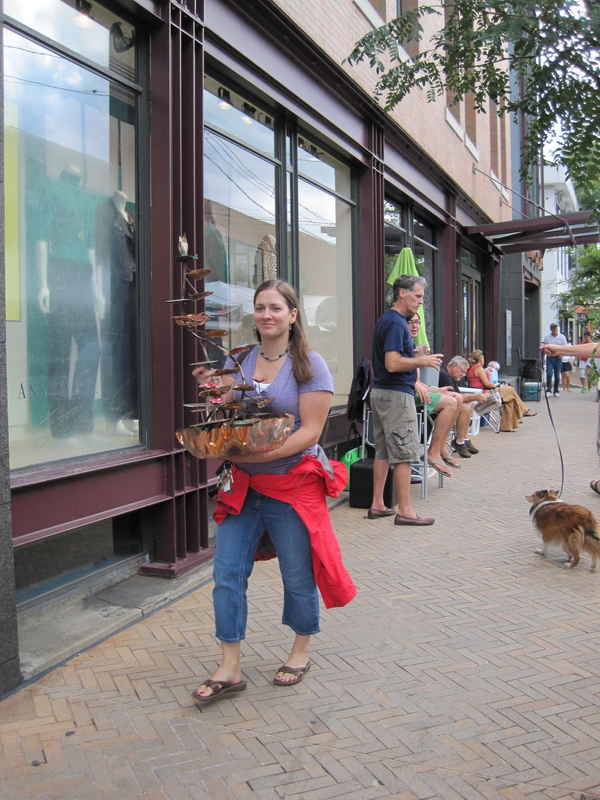 It was the 14th Annual Shadyside…The Art Festival on Walnut Street. We have a terrific line-up of shows for the Fall! Which art festival are you most excited for? What are you doing to prepare? You can view the schedule HERE on our website! 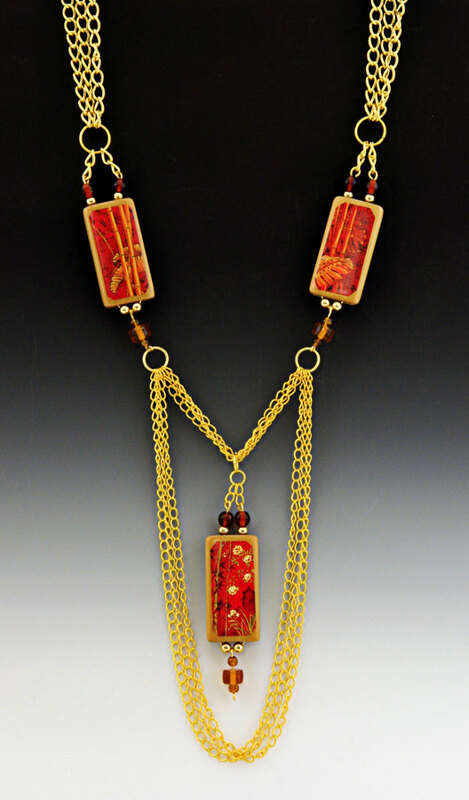 American Craft Endeavors is proud to have Larry & Linda Mayes in the 3rd Annual Downtown Venice Labor Day Weekend Craft Festival in Venice, FL on September 3rd & 4th, 2011. Larry & Linda will be interviewed by WWSV-ABC and their segment will air on Thursday, September 1st at 5:50PM on the “Suncoast Scene” and on the Sunrise News on Friday, September 2nd. Make sure you are on the look-out for their interviews! Born and raised in Missouri and now living in southwest Florida, Larry and Linda are now embarking on a new journey in their lives. 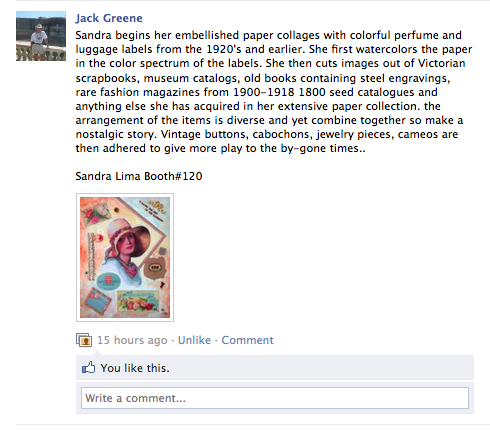 They are working together to create “One-Of-A-Kind” wearable art from bamboo tiles. Each bamboo tile has been individually created by the artists. A miniature image of an original photograph by Linda (an award winning and nationally published photographer), painting, vintage print or collage adorns every pendant. The renewable bamboo tile provides a warm and unique piece of jewelry that is ecologically friendly. The image is finished with multiple coats of a water based, UV protective coating for enhanced ultraviolet durability and abrasion resistance. The bamboo tiles are then combined with an eclectic mix of materials to enhance the beauty of each bamboo tile. Larry & Linda will be available at the craft festival to answer all your questions about their beautiful work! 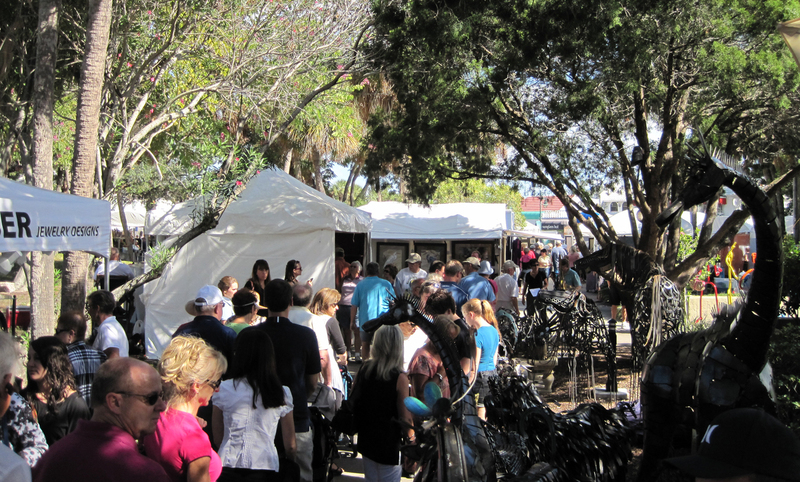 If you have any questions about this blog post, don’t hesitate to contact us at 561-746-6615 or info@artfestival.com. 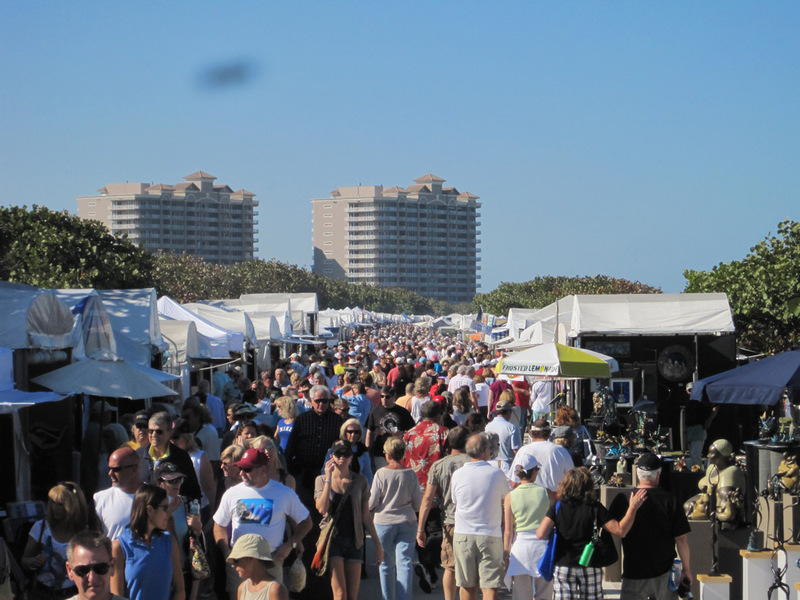 This holiday weekend (September 3rd & 4th), American Craft Endeavors is proud to present the 3rd Annual Downtown Venice Labor Day Weekend Craft Festival in Venice, Florida. Miami Avenue in Downtown Venice will once again be transformed into an outdoor craft showcase with the unique and original work of the country’s top crafters. From folk art, pottery, handmade jewelry and paintings, to personalized gifts, handmade clothing, scented soaps and body products, a full spectrum of craft art mediums will be on display and for sale with prices ranging from as little as $3 to $3,000. In addition, an expansive Green Market will offer festivalgoers a variety of plants, flora, orchids and homemade soaps. Admission is free and open to the public. Times are Saturday & Sunday 10am-5pm. 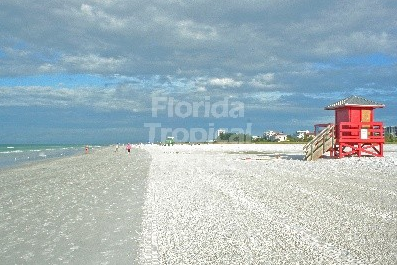 The navigational address is: 220 Miami Ave W., Venice, FL 34285. The first fine crafter we would like to introduce to you is Joseph Cram. 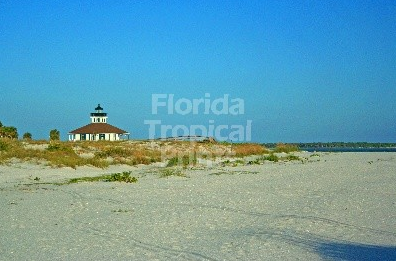 Joseph’s company, Florida Tropical Prints, originated out of his love for Florida’s beaches and its unique State Parks. He has always loved to run on the beaches and enjoy the once-in-a-lifetime sunrises and sunsets that only Florida can offer. He decided to capture these one-of-a-kind moments in time and pass them on to you! You can view more of his work HERE. Next, we would like to introduce to you the talented duo: Tricia & Jeff Mangrum. 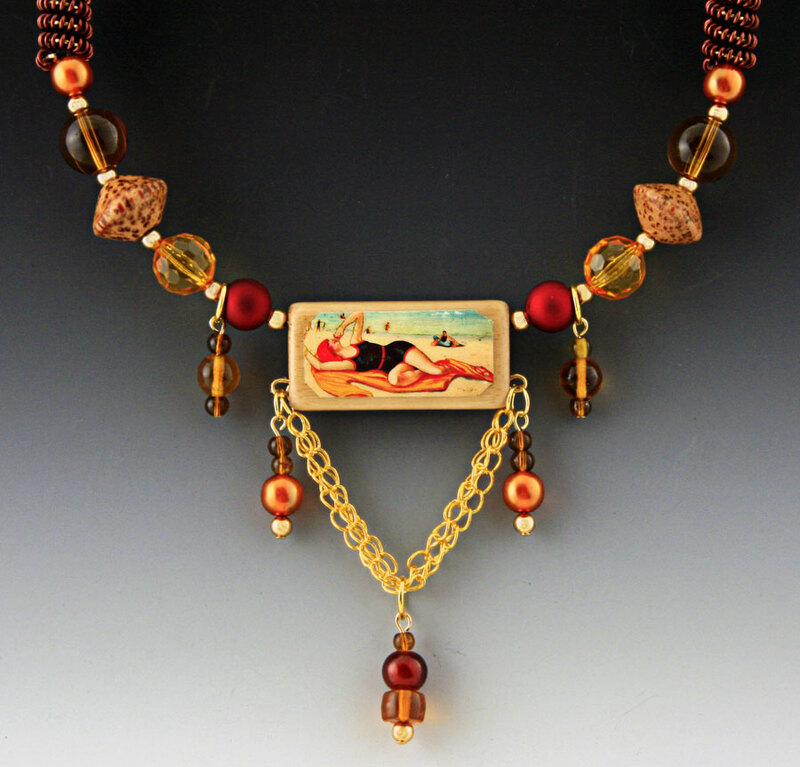 Tricia & Jeff hand-make an exquisite collection of elegant necklaces. 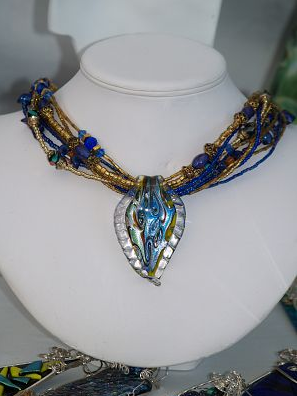 Their necklaces are inspired by the sea and the beautiful Florida lifestyle. Each piece of jewelry is uniquely designed and never duplicated. You can view more of their jewelry HERE. The final artist we are going to introduce to you today is Joe Weinstein. Joe tries to recapture the special moment in each fountain he creates. You may call it a moment of inspiration. 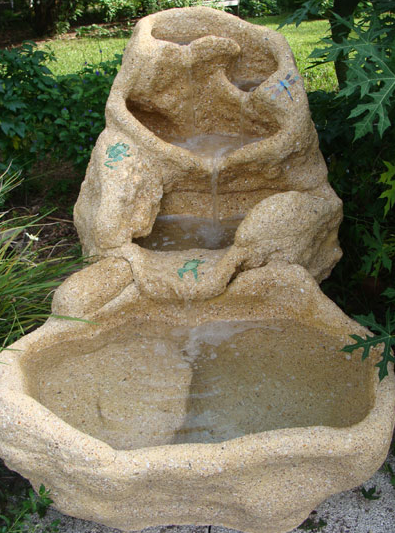 The fountain pictured above has a few mosaic creatures embedded in the fountain. This is one of our favorites! You can see more of his beautiful work HERE. 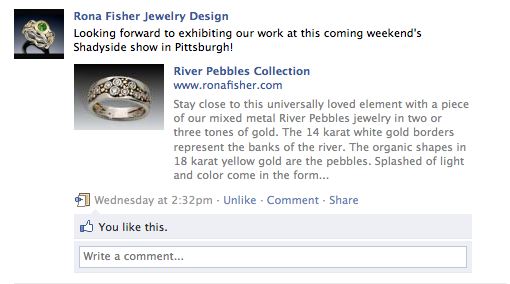 You will be able to meet each artist mentioned above along with 100 other very talented fine crafters. We look forward to seeing YOU on this holiday weekend! Every week, prior to each show – we will be notifying our participating artists to post a photo of their artwork on our Howard Alan Events Facebook Fan Page. Additionally, they will include their website & space number. Space numbers will be posted HERE. Please include this link when you post a photo of your artwork! 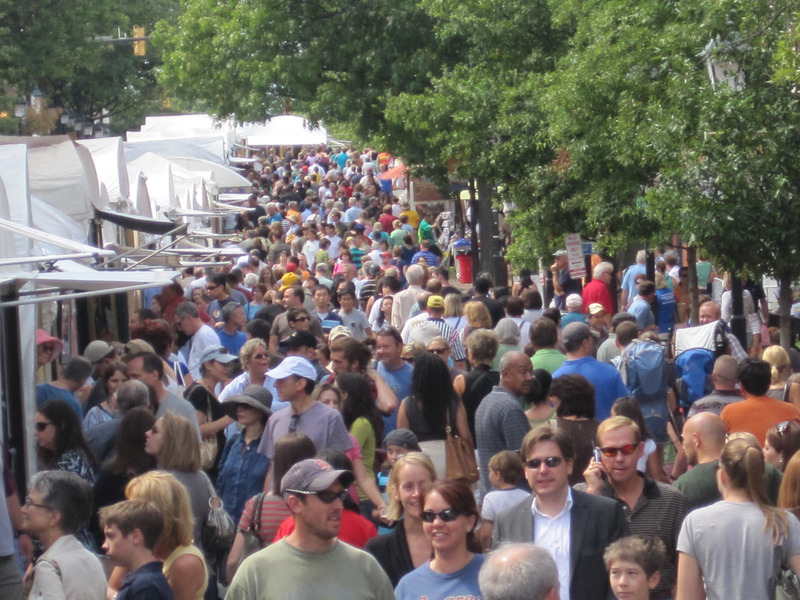 By doing this – the general public will be able to get a “preview” of what to expect at the art festival. 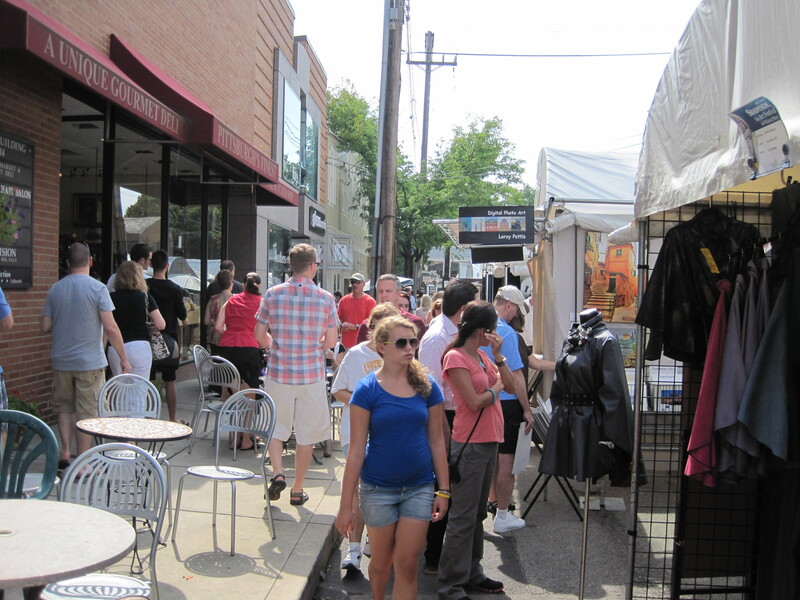 For our 14th Annual Shadyside…The Art Festival on Walnut Street – we have had a terrific response from our artists! If you have any questions about this blog post – please don’t hesitate to contact us at 561-746-6615 or info@artfestival.com.